America’s supermarkets are filled with different ways of labelling expiration dates on canned and packaged foods. According to a 2013 report by the Natural Resource Defense Council (NRDC) and the Harvard Food Law and Policy Clinic, those labels are responsible for as much as 20 percent of the country’s food waste each year. You have probably read about or heard stories of people – maybe even your relatives — who ate decades-old canned vegetables or fruit and lived to tell the tale. In one famous study conducted in 1974, for example, National Food Processors Association scientists analyzed 40-year-old cans of corn that had been stored in a home basement in California. Experiments revealed that the “old” corn looked and smelled like newly canned corn and that it had retained most of its nutrients, although a few — such as vitamin C — were at lower levels. Lab results were similar for canned tomatoes and red peppers recovered from a century-old sunken steamboat discovered near Omaha, Neb. While these stories are interesting, as you store food for long-term emergencies, you are right to wonder: Just how long will canned food last? Properly canned food stored in a cool, dry place will retain optimum eating quality for at least 1 year. Canned food stored in a warm place near hot pipes, a range, a furnace, or in indirect sunlight may lose some of its eating quality in a few weeks or months, depending on the temperature. Dampness may corrode cans or metal lids and cause leakage so the food will spoil. 1. Look at the can. Food in damaged or rusting cans has a higher chance of being contaminated than cans in good condition. Do not consume food from cans that are bulging or are leaking fluid. In the case of glass jars, look at the food’s color. Some color change over time is normal, but a big alteration in color or a lack of color signals a problem. In the case of preserved fruit, pickles and relishes, observe the quality of the syrup or brine. There may be a problem if the liquid appears muddy or opaque or if the liquid level has dropped significantly. Discard a can that has a damaged or flaking lid. Acid may have worn away the lid, allowing microorganisms to enter the jar. 2. Open the can. If so far, so good, go ahead and open the canned food. Throw it away if liquid spurts out when you open the can. Next, examine the surface for any mold or scum on the surface of the food item. 3. Smell the food. If all is still well, give the food a good sniff. It should smell fresh without an unusual or unpleasant odor of any kind. 4. Taste it. Lastly, you can give the food a taste. 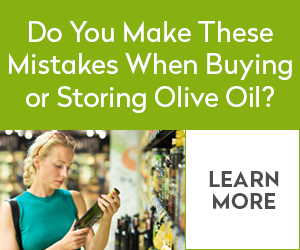 Keep in mind that long-term storage can affect the flavor of some foods, particularly if it was sweetened lightly. Here are some additional guidelines for canned food storage. Contrary to what you might think, canned meats can last longer than canned fruits and vegetables. Most canned meats will keep for two to five years or even longer. Other long-lasting canned low-acid foods are soups (without tomatoes), carrots, pumpkin, potatoes and peas. High-acidic foods include tomatoes and fruit and canned foods that contain vinegar. Although these foods may taste the best and have the best nutrition within a year or so, many of them are edible after years of storage. The main reason canned foods spoil is improper storage. Cool, dry storage is best. Microorganisms can grow and thrive in cans stored in damp areas and in high temperatures (over 95°F). These microorganisms can spoil the food and/or alter the food, enabling other microorganisms to grow. Keep canned foods away from sunlight. The heat from sunlight can allow the air in the can to expand, breaking open the seal and allowing microorganisms to contaminate the food. In addition, sunlight may accelerate rancidity in foods that contain oil or fats. The waste of edible food by consumers, retailers and manufacturers poses a significant burden to the American food system. Wasted food costs consumers and industry money; squanders important natural resources that are used to grow, process, distribute, and store America’s food supply; and represents a missed opportunity to feed the millions of food insecure households in the United States that are struggling to access healthy, affordable food. Misinterpretation of the date labels on foods is a key factor leading to this waste. When all is said and done, it is best to trust your instincts. If you have a bad feeling about a can of food, toss it.